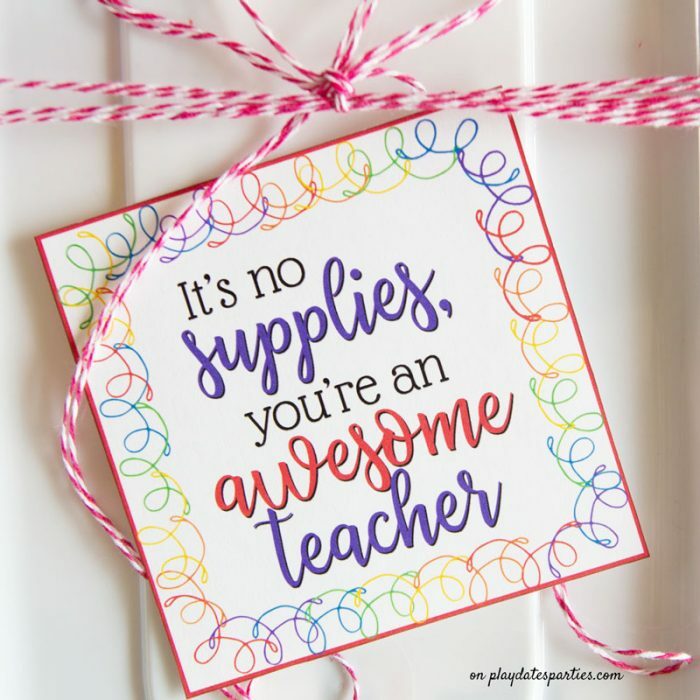 Give a gift that keeps on giving with these free teacher appreciation printables and a printable shopping list of teacher supplies that are always needed! The bad news is that I completely lost track of time and missed the deadline to purchase our kids school sponsored teacher appreciation gift. Ooops. The good news is that I ended up creating a fun teacher appreciation printable and gift. And now I get to share it with you. Hooray! Let’s get real. There are many thankless got jobs out there. But being a teacher is definitely near the top of the list. I really don’t know how my kids’ teachers do it. I love my kids, but if I’m being completely honest…they drive me batty sometimes. And I only have three kids with me, not the 20, 30, and 40 that are in most classrooms. Now, last Christmas I reached out to my sister, who is an elementary school teacher, and shared a way to make gift cards special for teachers. But with teacher appreciation week approaching (it starts May 6th!) I wanted to do something more personal, while also making sure that it’s useful too! So, we came up with the idea of providing extra classroom supplies. Because there are never enough supplies. My sister gave me a great list to start things off, and I designed the printables. A pretty awesome team, right? And to make it even easier for you, the printable gift tag includes a page with the shopping list. It doesn’t get much simpler than that. After buying all your supplies, this gift only takes a few minutes to put together. Make sure your printer is equipped with the right paper. I printed our labels on bright white card stock, but if I’d used matte photo paper, the colors would have been even brighter. Both look great, but if you want the most saturated look, photo paper is definitely better. These tags are about the easiest things in the world to cut since they’re squares. Feel free to use sharp scissors or a paper trimmer. 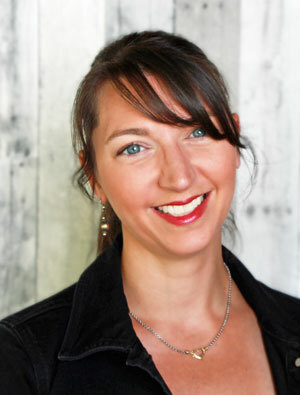 Next, you’ll want to upload to Cricut Design Space only the page that is marked as “Cricut Print and Cut Friendly.” It’s formatted specifically for this purpose. When you’re prompted to remove the background, only click on the white space outside the box with the text. The rectangle is there to keep your machine from cutting out all those letters. Finally, when the document is loaded into your project, make sure you resize it to 6.75 inches wide. You can also have the Cricut machine cut out the holes for threading the twine, too. Just add 1/4 inch circles in each of the top corners, or in the middle of the tag. Note: Don’t be like me and forget to punch holes for the twine. Ooops! A little double sided tape did the trick for us, but it would have looked better threaded through with the twine. Once you have everything purchased and cut, it’s time to get it all assembled! I like to do a dry run first so I know that everything fits properly. While you do this, it’s good to have the kids sign the card somewhere. Then, take everything out one more time and double check for price stickers. Add a little tissue paper and put everything back in the box or bag. Wrap some twine around the box (or through the handles of a gift bag), and add the tag. Tie it all in a pretty bow, and you’re done! You know, sometimes last minute gifts can be pretty awesome. 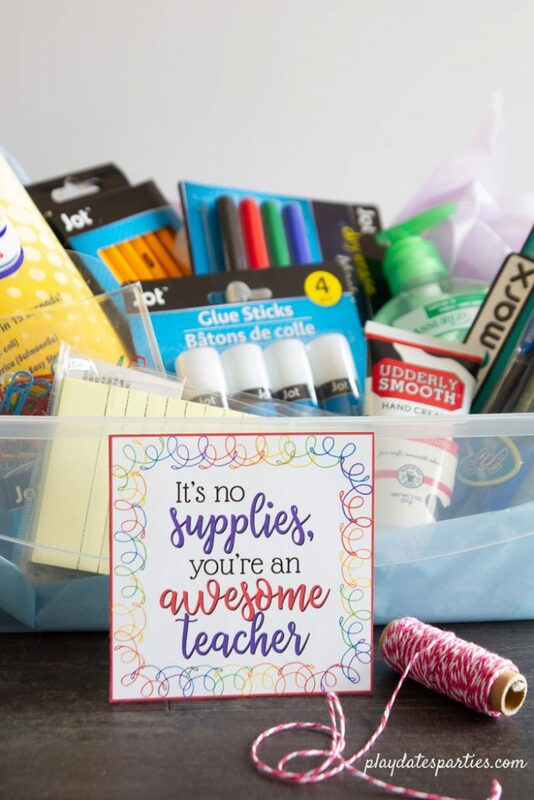 Our kids told me that their teachers both loved their supply boxes. 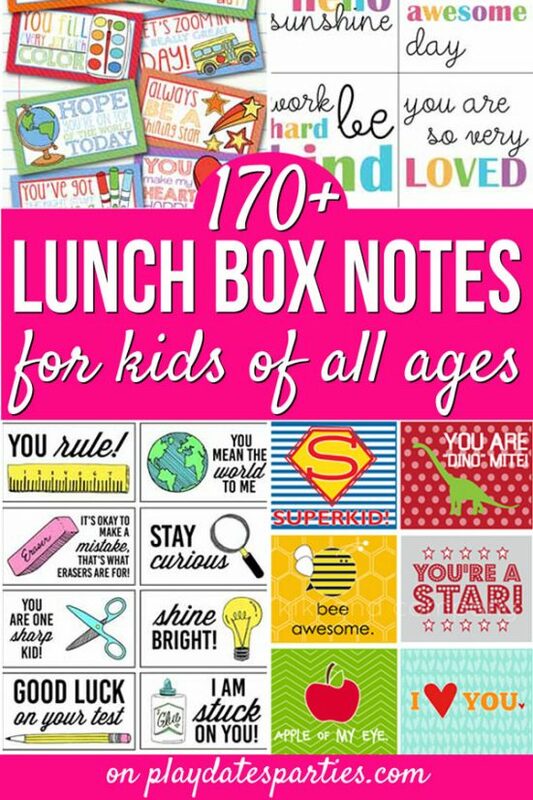 They may not be quite as versatile as gift cards, but at least these teacher supply boxes and teacher appreciation printables are useful! What are you doing for Teacher Appreciation Day? 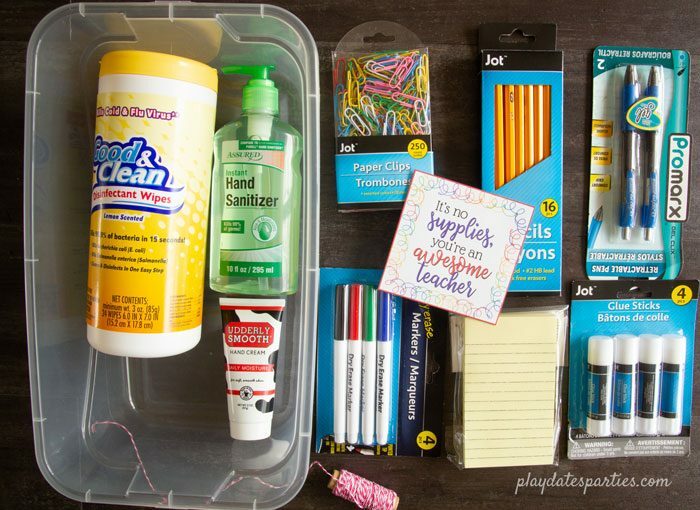 Are there any other supplies you think teachers would love?